Get an FCC certification Quote ! FCC compliance testing requirements involve Radiated emissions testing, this testing can only be performed on a compliant test site (ANSI C63.4: 2014). Our test site is compliant all the requirements. 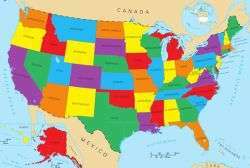 FCC marking is mandatory for certain product groups within all 50 states, District of Columbia and the territories (American Samoa, Guam, Northern Marianas Islands, Puerto Rico, Virgin Islands). Each product must be tested to the relevant applicable section of the Federal communications commissions rules at a registered and accredited test site. The federal communications commission requires products to meet the relevant emissions requirements section. A local representative is required for declaration of conformance. Intentional radiators (Transmitters) must have the test report and associated technical documentation submitted to the Federal communications commission or a designated TCB (Telecommunications Certification Body/Technical conformity body). Verification requires the party responsible for compliance to ensure that the equipment complies with appropriate technical standards. Submission of a sample or representative data to the FCC demonstrating compliance is not required unless it is requested by the FCC. Devices subject to verification include Industrial, Scientific and medical (ISM) equipment, business class A computer equipment, TV and FM receiver. Supplier’s Declaration of Conformity (DoC) requires the party responsible for compliance to ensure that the equipment complies with the appropriate technical standards. The responsible party must be located in the United States, is not required to file an equipment authorization application with the Commission or a Telecommunications Certification Body (TCB). Equipment authorized under the SDoC procedure is not listed in a Commission database. However, the responsible party or any other party marketing the equipment must provide a test report and other information demonstrating compliance with the rules upon request by the Commission. The responsible party has the option to use the certification procedure in place of the SDoC procedure. Note: Products that were subject to either the Declaration of Conformity (DoC) or verification equipment authorization procedures in the past are not required to be changed and updated under the new SDoC requirements, as long as the devices remain unmodified. 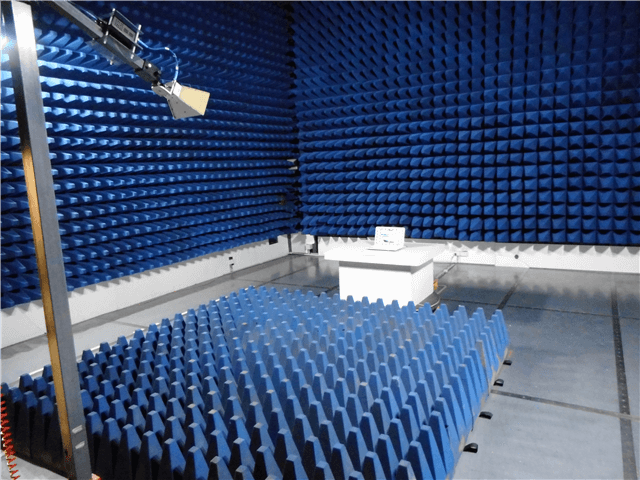 Certification is the most rigorous approval process, the approval process is used for RF Devices as these have the potential to cause interference to radio services. Certification is an equipment authorization issued by a designated Telecommunications Certification Body (TCB). The certification is based upon evidence such as test reports issued by FCC recognized accredited testing laboratories. Equipment authorized under the Certification procedure is listed in a Commission database (accessible by the public). In addition, equipment subject to approval using the Supplier’s Declaration of Conformity (SDoC) such as equipment that only contains digital circuitry (does not contain a radio transmitter) procedure can optionally use the Certification procedure. All intentional radiators (transmitters) must be certified by the FCC or the Technical Certification Body (TCB) before legally be sold in North America. Super regenerative receiver SDoC or Certification. Depending upon the product classification may mean that you only need to provide a statement in the documentation otherwise a separate marking may need to be permanently affixed to your product. For further information on the FCC product labelling requirements please refer to the Office of Engineering and Technology (OET) FCC Quick labelling Guide. The FCC Quick labelling Guide is excellent to quickly check your products labelling requirements. Please click the following link for information on the FCC labelling requirements and guidelines. The main two sections of applicability for the majority of devices tested are FCC part 15B and FCC part 15C. Subpart B deals with unintentional radiators these are devices which do intentionally produce radio waves but do anyway such as computers etc. Under this section, a device must comply with radiated and conducted emissions. Radiated emissions are the energy radiated into free space from the entire unit as a whole including cabinet radiation and cable radiation. Conducted emissions are the energy radiated conducted back to the mains network. For both radiated and conducted emissions there are two sets of limits, Class A and Class B. Both limits defined are generally acceptable independent of the environment they are intended to be used. However, application of the product warning labels and accompanying product documentation may differ. Subpart C deals with devices that are specifically designed to produce coherent radio waves, such as small transmitters. Types of transmitters in this subpart would include such as remote devices, Bluetooth, Zig-Bee, 2.4GHz wireless technologies and so on. If you intend to sell/distribute your product in North America you must meet the relevant FCC rules and regulations and ensure the correct EMC Testing for North America is performed with an appropriate testing facility. How do I test my product? Testing should be conducted at a test facility with an FCC registered site in order to perform the measurements. An FCC test site must technically conform with the physical characteristics defined and the test site validation results must be sent to the FCC for review and subsequent grant of the registered test site. In late 2014 the testing facility must also be accredited by a mutually recognised accreditation service such as NATA. In some situations, both certification and Supplier’s Declaration of Conformity (DoC) could be applied. An example would be a mobile phone, certification is used as evidence of compliance for an installed modular radio intentional transmitter and Supplier’s Declaration of Conformity (DoC) used for the unintentional digital circuity. It must be noted that the frequency range under investigation for FCC Part 15 Subpart B EMC testing will be affected. Affected by either the highest frequency used, generated or tuned by A) Host or B) Radio module. If the highest of the two is above 1GHz and is the host then up to the 5 harmonic is to be considered. Yet, if the highest is the radio module then the tenth harmonic of the radio module must be considered. It may be possible to use the same results depending upon the methodologies used (as many of the intentional radiators/transmitter testing methodologies vary between FCC and CE). If the product is mains powered it must be powered by 120VAC at 60Hz. It may be possible to use the CE radiated emissions results if your product has a DC input port and a separate AC/DC plug pack that is already FCC and CE compliant (but conducted emissions is still required). Why use EMC Bayswater for your FCC testing, compliance and certification needs? We are NATA accredited for FCC Part 15B which includes NATA accreditation to ANSI C63.4. Utilising a fully compliant ANSI C63.4-2014 iOATS chamber. A requirement for radiated emissions measurements (30MHz to 40GHz radiated emissions). Please visit our EMC testing services page for details of other EMC compliance testing services we offer.